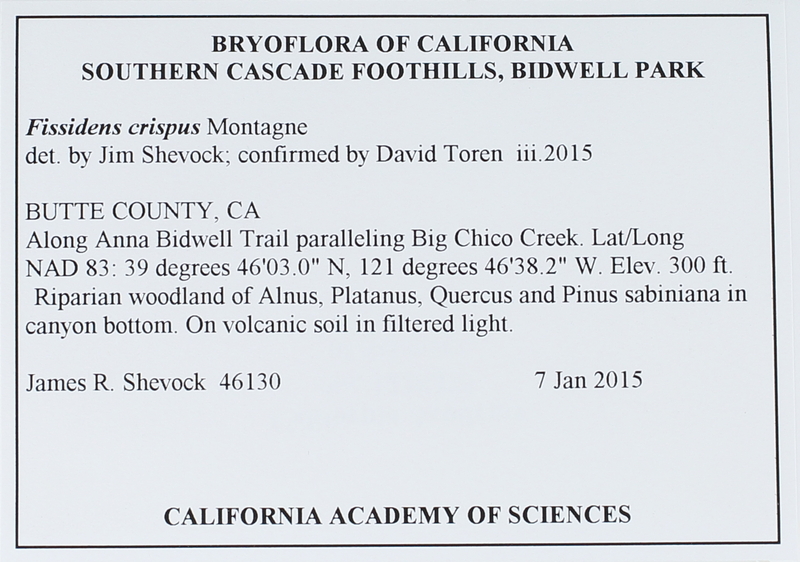 Locality: USA, California, Butte, SOUTHERN CASCADE FOOTHILLS, BIDWELL PARK. Along Anna Bidwell Trail paralleling Big Chico Creek. Habitat: Riparian woodland of Alnus, Platanus, Quercus and Pinus sabiniana in canyon bottom, in filtered light.